A celebration of urban and rural sustainable agriculture in the Sioux Empire. Homegrown Sioux Empire is proud to announce the 7th annual Tour de Coop – September 29th. Take part in a celebration of both urban and rural sustainable agriculture in the Sioux Empire area! 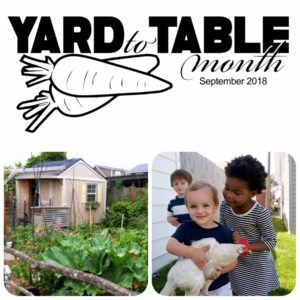 This year’s tour will be the culminating event of our Yard to Table Month. If you are interested in starting a coop in your backyard, connecting with others about sustainable agriculture, or want to share in improving your existing coop and garden then this is an event not to miss. Feel free to take part in all or portions of the tour. All events are free and open to the public. The Tour de Coop will make eight stops in the Sioux Empire area. Stops to be announced soon! The final stop of the tour will be a “Tour de Coop” celebration, or festivus as we like to call it. At the final celebration we will also be enjoying some great local food in the form of a potluck. Come out and enjoy! This event is free and open to all ages.